While we say that we are green with envy in English, the Italians associate positive feelings with this color, verde speranza literally meaning that green is the color of hope. It makes perfect sense when you think of it: green is so vibrant, the color of all things fresh and new. Just looking out onto a green meadow or up at a canopy of leaves instantly relaxes our mind and brings peace to our soul. Green in food is often associated to good health: green vegetables and fruits are rich in vitamins and fiber (think leafy greens), not to mention healthy fats (avocado, olives). Green is the color of medicinal plants and herbs used for centuries to cure all kinds of ailments. 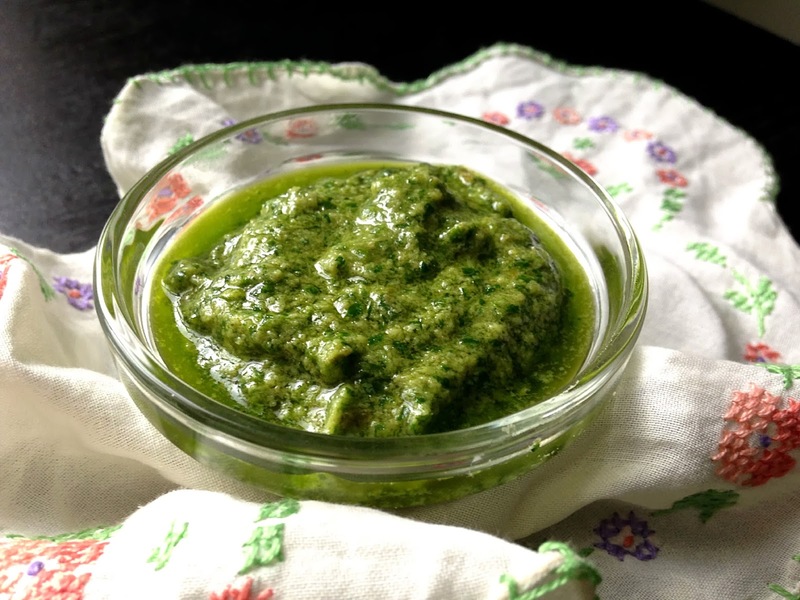 There is a very popular green sauce in Italy that derives from an ancient recipe, presumably first brought to the country from the Middle East by the Romans, who then in turn proceeded to spread it to the present day France, Spain and Germany. Each country (and in Italy specifically every region, town and household) has its own version. I spoke to friends from different areas in Piedmont, famous for its "bagnet vert" (which literally means little green dip) served with tongue or mixed boiled meats, and their families all use different ingredients and preparation methods. Some add hard-boiled egg yolks, some use both lemon and vinegar, others like to mix in some gherkins. Some prepare it a few days in advance for extra flavor, others make it fresh and chop the ingredients by hand. I even came across some recipes that require the base to be heated in a pan with olive oil. Traditionally this sauce is used to accompany boiled meats, but it works great on grilled vegetables, toasted crusty farmer's bread or fish (we had it with swordfish the other night). 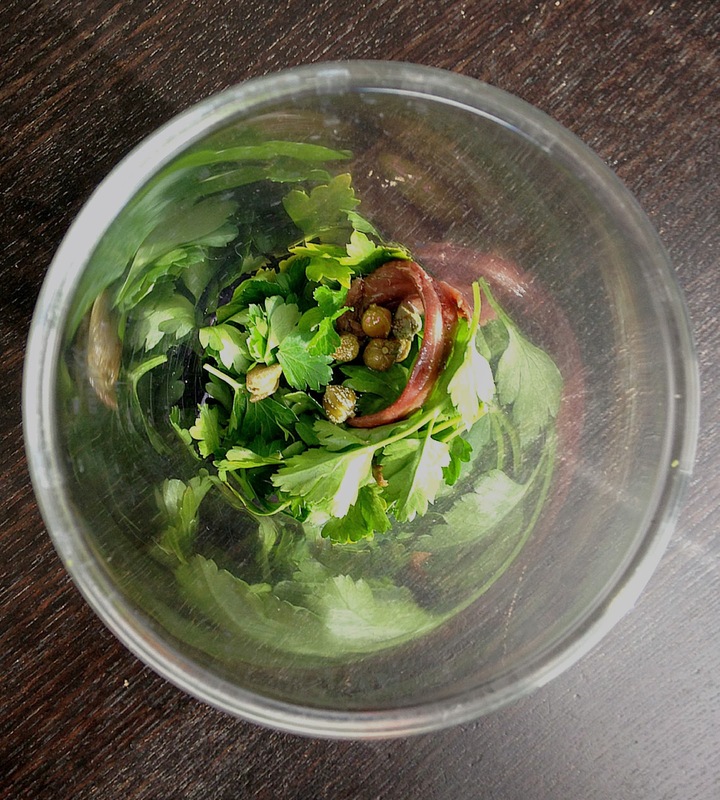 It takes five minutes to make and can be stored in the fridge for days. 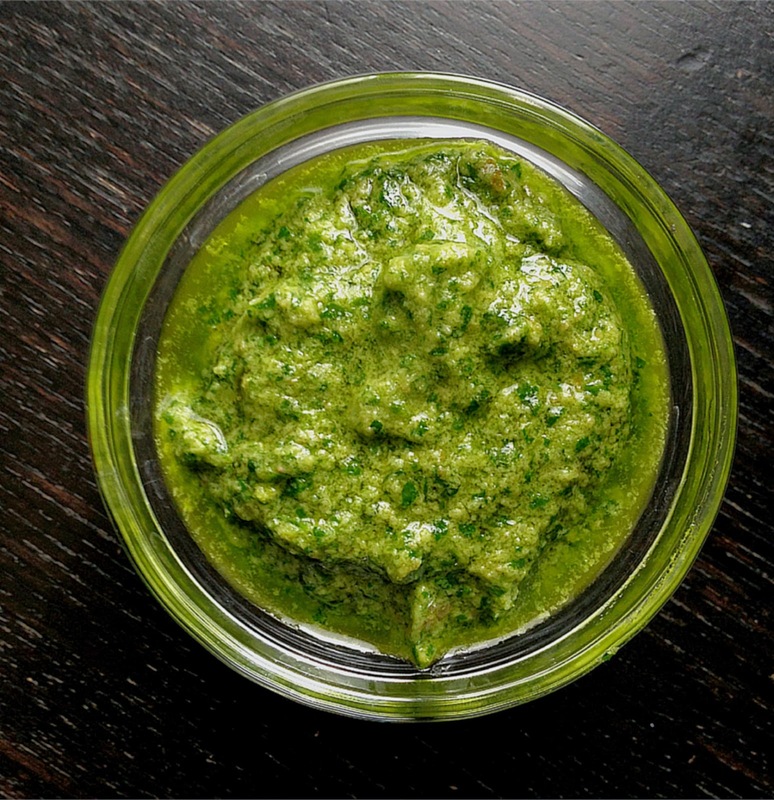 Does a form of salsa verde exist where you come from? If so, how do you make it? 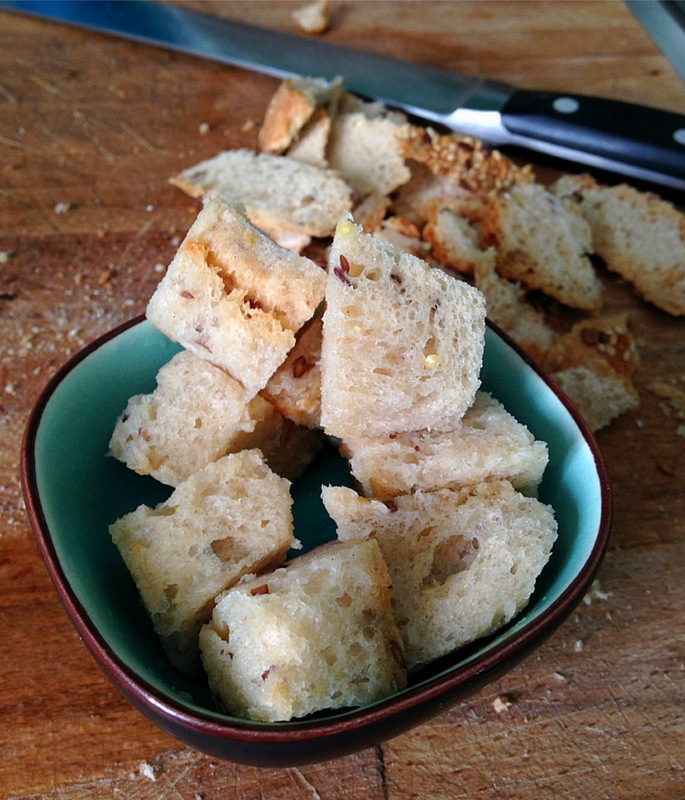 Cut the stale bread into cubes, after ridding it of the crust, and soak it in vinegar. Clean and chop the parsley using a knife, mezzaluna or food processor (although the traditionalists will be gasping just about now!) together with the garlic (it is a traditional ingredient, but I don't always use it), capers, anchovies, bread and olive oil. Beautiful colour and flavours. You can make pretty much any meal a feast with a sauce like this. Green is my favorite color and salsa verde may be my favorite sauce. 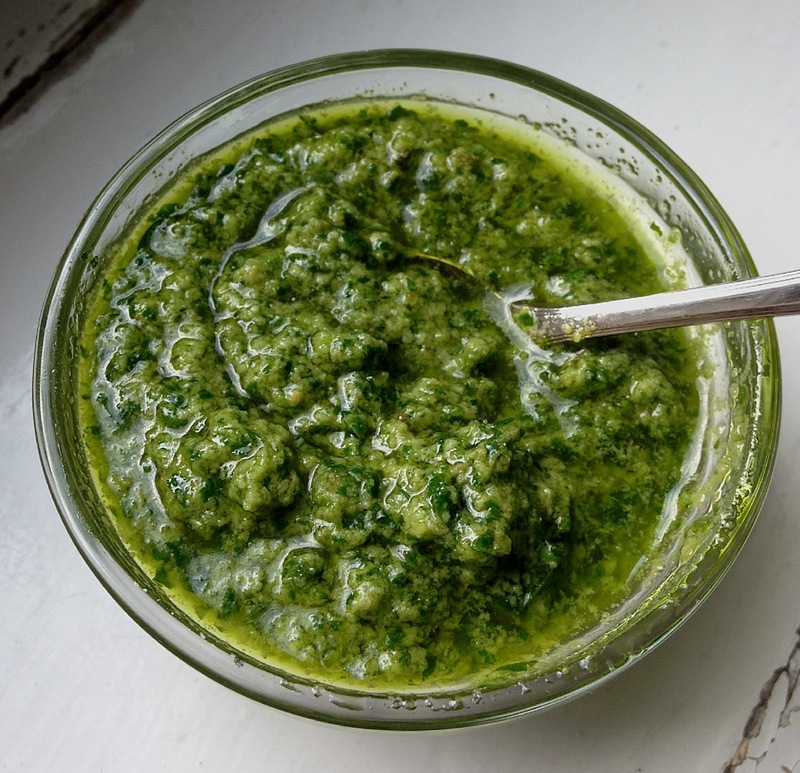 Is there any meat or fish that doesn't taste better with some salsa verde? I haven't found it yet. Here we have a lot of pesto and some salsa verde and chimichurri although I'm not sure if Australia has a green sauce of their own. I loved reading how they look at green for its healthful properties-it makes perfect sense! Barbecued meats sounds like a heavenly way to serve it! We love this with grilled or poached fish - I can almost smell it from here! Your photos are beautiful! 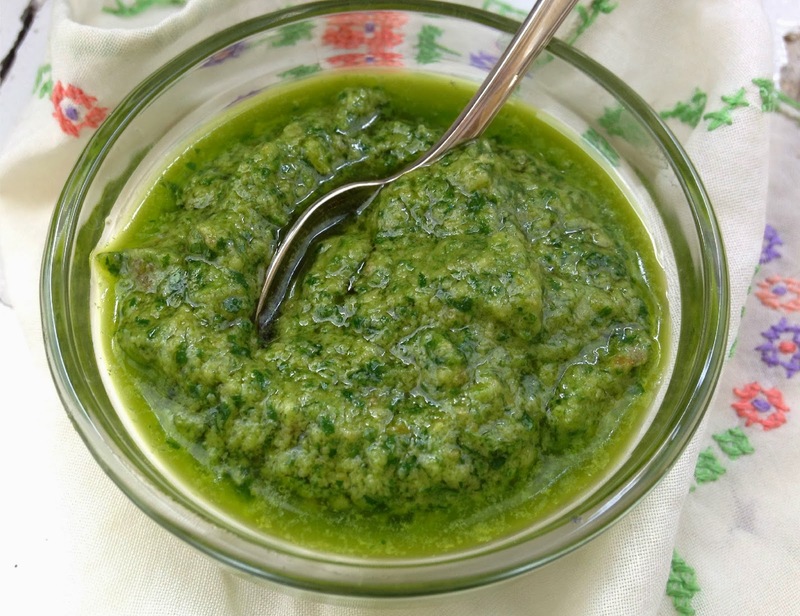 This PIedmontese salsa verde makes me think of summer, even thought it can easily be made any time! It is associated with winter because lesso (boiled meats) is often enjoyed in the colder months, but I agree that it tastes great with fish and definitely works like a year-round sauce to me. How did I miss this post? I love salsa verde! In mine I put all of you ingredients plus add boiled eggs and a couple of pickles. My mom always says that tongue and bollito are just an excuse to eat salsa verde and I tend to agree! Yes, I read about that variation and was especially intrigued by the pickles (which I love). Do you still put vinegar in that case? 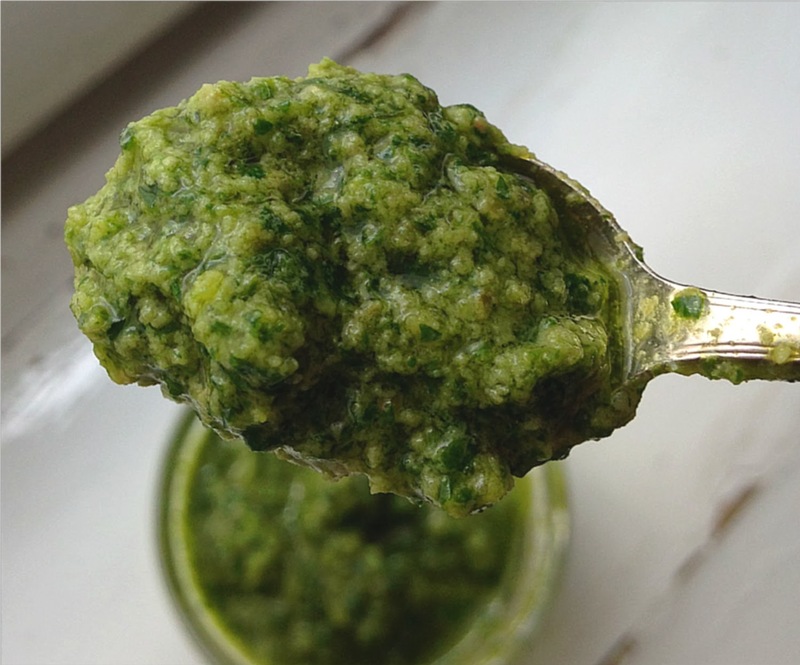 I've been looking for a really good salsa verde recipe ... and HERE IT IS!! It comes out as such an amazing colour, and I bet it tastes just as good!